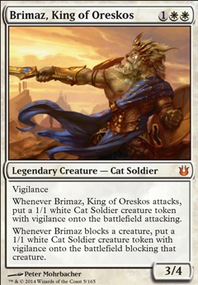 How does the Brimaz, King of Oreskos blocking a creature work? 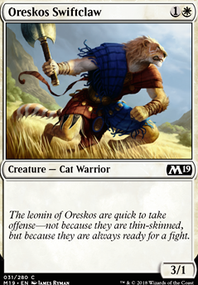 I think your theatrical feline cast is a bit thin and you might want to look over a few potential talents such as Regal Caracal , Adorned Pouncer , Balan, Wandering Knight , Brimaz, King of Oreskos , Jazal Goldmane , Jareth, Leonine Titan , Leonin Abunas , Leonin Shikari , Leonin Warleader , Oreskos Explorer and Raksha Golden Cub to fill out any roles you may have. Equipment is a very costly prop for such a play and as such I would look to add some more mana sources such as Thran Dynamo , Everflowing Chalice , Worn Powerstone and other efficient sources. Hey GHOST_SCKOPE, great deck! Looks like you're going with a lifegain/token/boardwipe theme, right? I've got an Odric, Master Tactician deck that runs in a similar fashion. You might want to consider his inclusion, since he is a soldier, and his ability to choose blockers can be incredibly advantageous. 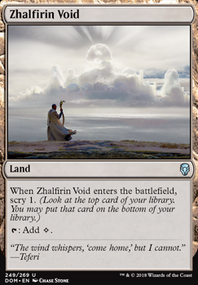 Eldrazi Monument seems like a solid addition as well, provided you have enough fodder for the cost each turn. Akroma's Memorial is another option for beefing up your dudes. 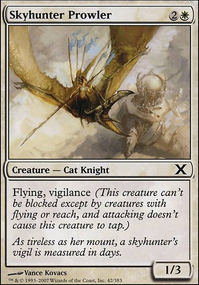 With all of the token generation, you may want to include Divine Visitation , because 4/4 flying angels are better than 1/1 walking soldiers. Hero of Bladehold gets pretty out of control if none of you opponents take care of her quickly either. May be worth the consideration. 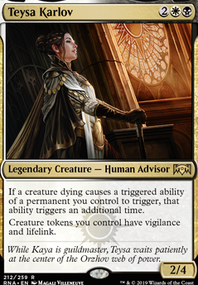 I've found that Evangel of Heliod can be amazing for creating tokens when you have enough white devotion. If you like soldier tokens, Brimaz, King of Oreskos is great for making them. They may be cat soldiers, but I don't discriminate. 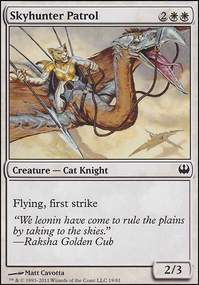 If going wide is your strategy for success Crusader of Odric is a good backup plan, since it'll likely be pumped up with all of your other tokens. I see you have the Soul Sisters in the deck, as well as some others that are similar. Have you considered adding Anointer Priest ? Sure, it only counts for tokens, but that doesn't seem like it'd be an issue in this deck. 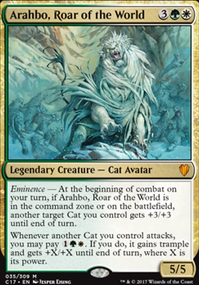 I'm not seeing a Mirror Entity in your list, which is a great addition to a lot of these kinds of decks. Might want to consider finding a slot for him. Card draw can end up being an issue for me in mono-white. 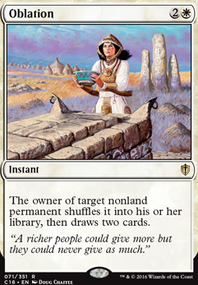 Have you thought about including cards like Slate of Ancestry and Alhammarret's Archive ? How is your mana base treating you? 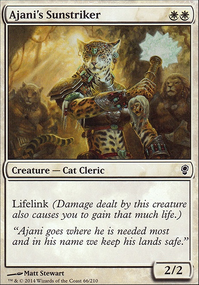 I usually play with fewer lands than I should, so I make excellent usage of cards like Land Tax and Sword of the Animist . I see you have Knight of the White Orchid , but that may not always cut it. 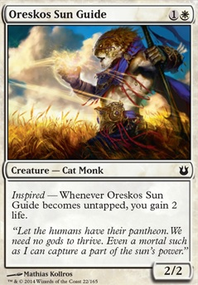 On the subject of mana, Nykthos, Shrine to Nyx is, in my humble opinion, an excellent card for almost any mono-colored deck. I see you have the Caged Sun in the deck. If you were interested in including backups, you could add the Gauntlet of Power , and the Extraplanar Lens , as well as Doubling Cube . Mana for daaaaays! Elesh Norn, Grand Cenobite is great in decks like these. If you're a fan of her and need a backup, Crovax, Ascendant Hero might fit the bill. The last suggestion for a possible addition would be Evra, Halcyon Witness . 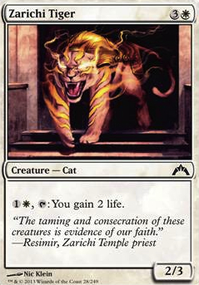 The card is great for swapping your life total with its power to kill an opponent, if your life total is high enough. I know it doesn't really fit the rest of the deck, but the life total trick is worth it when it gets pulled off. Overall it seems like a really fun deck to play! Hope the suggestions help out! Doesn't seem quite focused enough. You have a lot of neat cards, but they kind of go in different directions. I think I would just swap it out for more cheap reanimation Animate Dead , Dance of the Dead , Necromancy . Or powerful creatures to reanimate. Hmm I really like the look of Conclave Tribunal and Radiant Destiny . I’m not quite sure what I would pull to fit those in though, maybe 1 copy of Frontline Medic and 1 copy of Brimaz, King of Oreskos ? This deck, when running just right, is pretty fun and mean, but it can be clunky at times as well. In the first 3 turns it doesn’t do to much. I have a hard time putting in lower mana cards for all the good ones I already have yaknow? Honestly I’m not worrying about the sideboard just yet. I only play with my friends and I like to build my sideboard after I’ve bought the deck and played it for awhile with them. 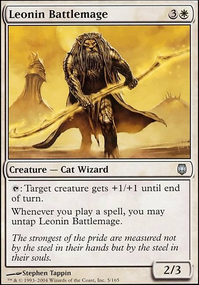 Your creature selection is weak, there are better cards at your desposal than what you are using. Maybe not all of them but one or two for sure. Lastly I think you may have just two too many mana rocks, you aren't playing 3 colors.